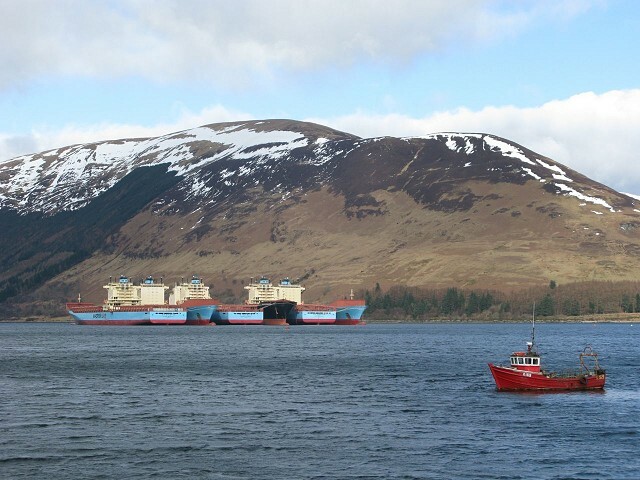 These six very large container ships belonging to Maersk have been parked in Loch Striven in rural Argyll (the loch that faces Rothesay across the Kyles of Bute) for months. Pupils from my wife's school have been to visit them, they have been used as a set for a BBC children's television series and they recently held a press day but I had not seen them close up until this afternoon. This is from the Colintraive shore, but they are still a large and looming presence, though dwarfed by the surrounding landscape.